Santo Amaro Feijoada (pronounced fay-ZWAH-da) is a delicious stew of pork, beef and black beans that's traditionally served over rice with fresh orange slices. 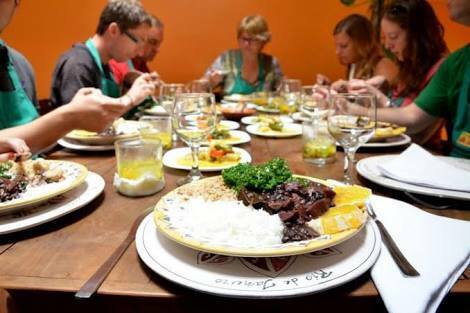 In Brazil, this dish is often served on special occasions, but now available to help you on the busiest evenings. 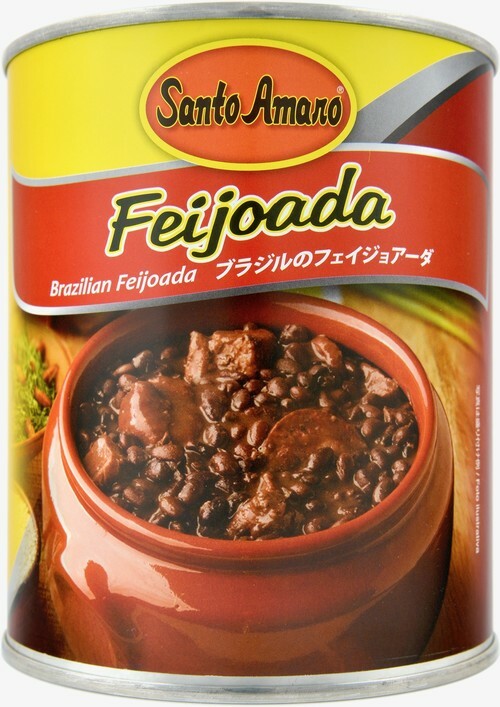 Using the finest ingredients and blended using Santo Amaro's secret recipe, this stew is the taste of Brasil. This 840g can is enough to satisfy a family. Just transfer the contents of the can to a pan and heat on the stove top.